Grab your Bestie, Honey, Significant other or whomever then come help us PARTY DOWN as the SUN GOES DOWN on our Signature Event … ROOFTOP PARTY! 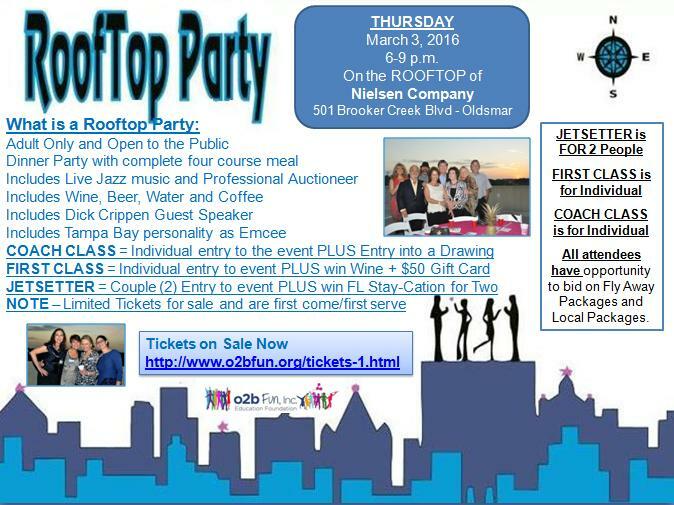 This Adult Only Party that includes food; bevs; live jazz entertainment; prizes to be won; auction items to bid on with Professional Licensed Auctioneer Chris Bohr of The Complete Auction and a FUN Adult time on the actual rooftop of Nielsen in Oldsmar, FL. HEARD … going down in T minus 5 days … oh my … see you there! YES … Say It Is So!